I can close my eyes and see it: the perfect blue of an autumn sky framed by the flaring colors of maples and birches ablaze as my boys and I poked along the river road one late September day looking for wonders. If I try, I can feel the warmth of the summer sun on my bare arms as we picked buckets of blueberries in the fullness of June. And I can remember rolling down the windows one May-day as we crept up the steep mountain road to breathe in just a bit more of the sweetness of blackberry blossoms that crowned spring days in hope. But winter—ah you are much more difficult to love. Sure there is the peace of a world blanketed in snow, there is the wonder of Christmas and the magnetism of New Year’s promises, but then there are days upon days of the darkness settling in too early, of the cold and wind being intolerable for outdoor walks and play, and the hassle of bundling everyone in layer upon layer to go anywhere at all, only to catch colds if we dare to venture out. It is easy to begrudge winter after her first charms are enjoyed. When I set my clock back earlier this fall, I read an article about The Norwegian Secret to Enjoying a Long Winter and I made up my mind to give it a try. 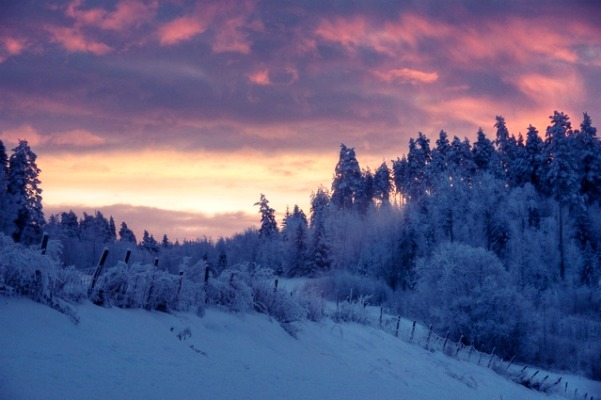 While Norway has winters with some of the shortest stretches of daylight found in any habitable place, they also rank unexpectedly high in the usual surveys on gross domestic happiness. How do they beat the winter doldrums? Well, it seems that rather than resent the long winter months and dark skies, they celebrate them. Apparently, there is a saying in Norway, “There’s no such thing as bad weather only bad clothing.” Norwegians continue to get out and enjoy winter’s charms even in those months of the year when the sun barely bothers to rise each day. Skiing, sledding, brisk walking, Norwegians keep going out despite what winter brings. So I’ve been trying it more and more. It’s hard to get a two month old out in the cold, but I’ve rallied my 2, 4, and 5 year olds for soccer scrimmages in the backyard while I let baby snooze just inside. I’ve bundled up my boys and cuddled the baby in his carrier close to my heart and said, “Let’s head for the park.” While our times outside aren’t quite as long as in other months, we come in refreshed and ready to enjoy the comforts of indoors with a new attitude. As I’ve thought about this more, I’ve come up with my own takeaway. What could be a better way to spend winter than by creating warmth in my own home? Candles, and fire and good music, yes, these things are nice and go a long way toward making people feel welcome. But the most important take-away for me is that winter is a time of welcoming and making others feel warmed in the light of an attentive presence. There are many other months of the year for getting out and enjoying the great green world. But the winter months lend themselves to hospitality in a special way: these are the months where others are likewise cooped up and inside more than they’d like to be, and where a friendly invitation, a good meal and a lively game or conversation can help us all weather our storms. And of course, it doesn’t all need to be outward. Let me celebrate the quiet joys of those winter days when we are cooped up, and there is no one around but us. Can the idea of making others feel warm in my presence extend quite simply to my own? Can I make my children feel the warmth of my love in special ways on these winter days? Can I lavish extra time on them: playing that too-long game they love, going to extra lengths to make an epic fort from blankets and chairs and imagination, or setting a special candle-lit meal replete with the fine china just for them? As Susan Schaeffer writes in For the Family’s Sake, “Today, we talk a lot about how elusive self-esteem can be… but if as a child you know you are a person that matters so much that great care is put into making your meal, then you to matter to yourself properly too!” Whatever the table or food may look like, simply put, home is the place where a child first knows what it means to be welcomed, wanted and warmed. Winter can be a time of setting another log on the marriage home-fires as well. Why not turn off the tv and snuggle up together with your spouse and a warm drink and a blanket. Welcome him back into your heart. Laugh together. Share your heart and your hopes. Many a marriage would blaze again if a little more time were put into stirring the coals with the same simple kindness, courtesy, and attention we might give a guest. Make him your guest and give him your attention. Chances are he will return the kindness by seeking your heart. Finally, may I set the table, light the candle, and wait with expectation for the One who made the winter as well as the fall, spring and summer. May I welcome my Savior in in special ways on these long cold days, reminding Him that I lack nothing in His presence. And as we welcome Him, may we remember that we can do so because He first welcomed us. The long winter of our discontent was first broken by the light and the warmth of His love—a love that made us feel, safe, and celebrated and home when we were cold and alone, a warmth that felt like a thousand splendid summers thawing the coldness of a desolate heart. Note to my dear readers: I know it’s been awhile since you’ve last heard from me. I hope you can forgive me. I promised myself when I began this blog that I wouldn’t write unless I felt I had something truly worth saying. We all get enough dribble clogging up our inboxes. And what can I say? There have been some months of writer’s drought. But I hope when you receive this you’ll feel like you’re opening a letter from an old friend you haven’t heard from in a while. I hope you’ll feel glad to hear from me again and that we can pick up where we left off. While we’re catching up, check out my about page for an updated picture of our family. One of the things that has had me busy is our beautiful Beau: baby boy number 4. 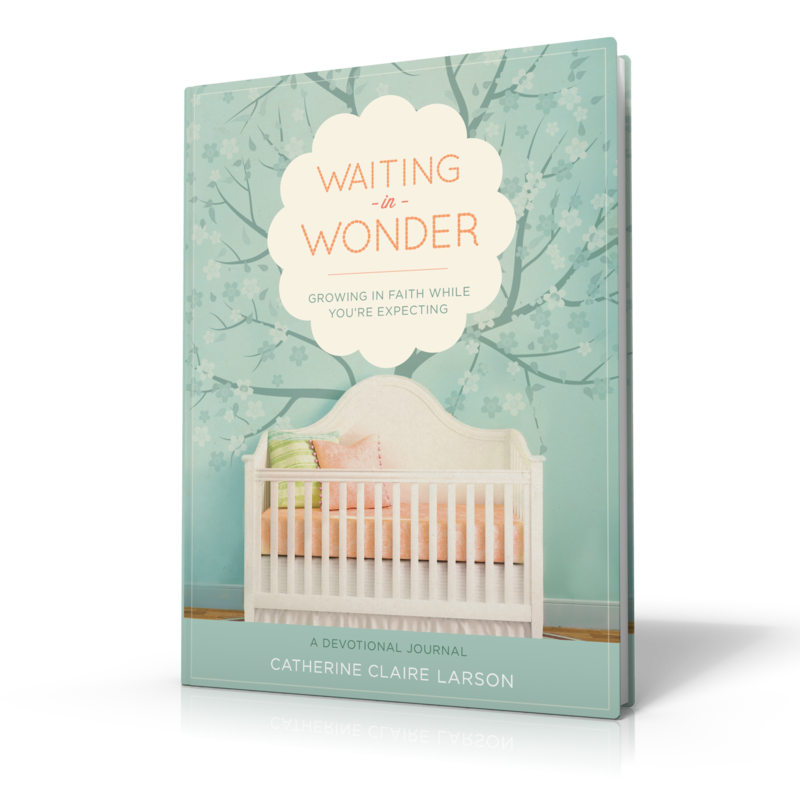 Time flies… And if you are new here, I hope you’ll take a look around, check out my devotional, Waiting in Wonder, and sign up to receive these posts straight to your inbox. There are seasons of life where it feels like all we have to give is so small. Early motherhood is definitely one of those seasons. Today, I continue my post from yesterday, with a few more historic examples of how God took the “little” his servants had to give and multiplied it to feed the masses. Often in this journey of motherhood, when the day is through and I’ve cared for my household about the only thing I have time left to do is connect with the handful of close friends God has blessed me with the privilege of knowing. The friendships re-charge and encourage me spiritually, and I can only hope I do the same for these dear ones. But I’m reminded often that friendship is no meager offering, it too can change the world. Most people know John Newton only as the author of the beloved hymn, “Amazing Grace.” Perhaps some people know about this former slave trader’s own conversion which led him to pen those famous words. But though Newton was a great preacher, author, and reformer as biographer Jonathan Aitken points out perhaps one of his most profound legacies was in the fruit of his spiritual friendships. Newton’s friendship with the beloved English poet William Cowper helped spur on the writing of some of the most beautiful hymns the church has today, not to mention some of the best poems of the English language. Newton helped his friend fight bravely against depression and because he was such a good friend we have works of William Cowper that may never have come to fruition otherwise. Newton was also a friend to noted reformer William Wilberforce. It was at Newton’s insistence that the newly converted Wilberforce did not abandon his political post, but instead used his passion for God to change the laws of England and ultimately abolish the slave-trade. And it was Newton’s words which helped Wilberforce persevere in a dark hour where it seemed all hope was gone. Newton’s friendship with a young woman named Hannah More was what led her to faith. She would go on to become the mother of the Sunday School movement, as well as a noted writer, and philanthropist. Newton also met regularly for breakfast with a young man by the name of William Carey, the man we know now as the father of modern missions. I love reading the story of Harriet Beecher Stowe that devoted Christian wife and mother of 6, whose writing career really began because she needed to put bread on the table in a time when her husband’s earnings were not enough. 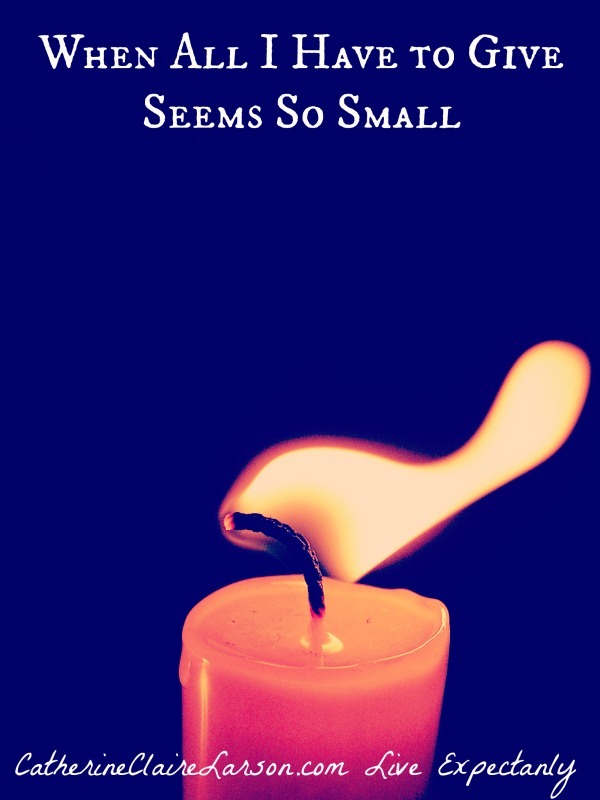 And despite the necessity of earning money from her writing, there was a fire in her belly that would not go out. Profoundly disturbed by the injustices she had glimpsed, her writings returned again and again to the themes of abolition. After the death of her infant son, sympathy at the loss of slaves torn from their children took her writing to a new level of emotional power. Uncle Tom’s Cabin changed the course of American History and was the reason, Stowe became known as the little lady that started the big war. Stowe had given God her affections, and He had made her lover of the things that He loved and reviler of the things He despised. She gave Him control of her heart and He turned her heart for the oppressed. God gave her a way to care for the needs of her household AND speak out for the oppressed. What began as a simple story published periodically in a magazine became a way God changed the lives of untold numbers. What’s your all I have to give? While our worlds, especially as mothers of young children may seem small and shrunken in, it doesn’t necessarily mean our influence is likewise small. Putting a priority on our husbands and our children is certainly no small thing. When between nap-schedules and potty-training, we find it’s hard to even get out of the house our prayers can still reach the edges of the earth and help eternity to break into the hearts of those for whom God burdens us to pray. When all we have time for is nurturing a handful of friendships, let us not despise how God can use that spiritual life-on-life sharpening. When all we have is a fire in our bellies for the oppressed and downtrodden that won’t leave us alone when the children are napping and the dishes pile up in the sink, sometimes even in our “shrunken in” world God makes a way for us to snap the chains of the oppressed. Don’t let the “accomplishments” of these men and women of the faith make you feel small. Many of them didn’t think they had much to give either. Their reach didn’t seem to go much farther than our own. And yet, God used them in profound ways. So what’s your “all I have to give”? Give it to Him in faith. And let Him multiply it to feed the masses. Have you enjoyed this post? Make sure you check out Part I and if you aren’t subscribed to receive these posts to your inbox, consider signing up here. 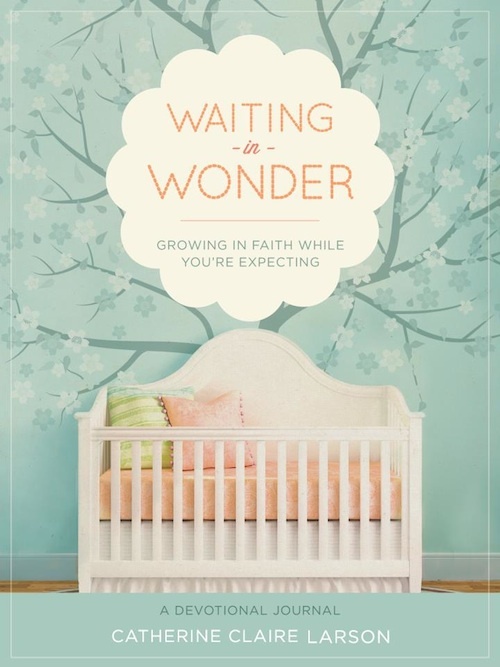 You’ll also want to check out my latest book, Waiting in Wonder: Growing in Faith While You’re Expecting. It would make a fabulous gift to any expecting mom you know. As you can see, God has burdened my heart to encourage young moms. Won’t you help spread the encouragement by sharing this post or giving a copy of my book to a young mom you know.